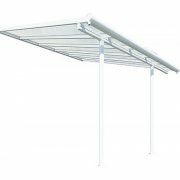 Merges smart and clean design to create the simple assembly and improved use. 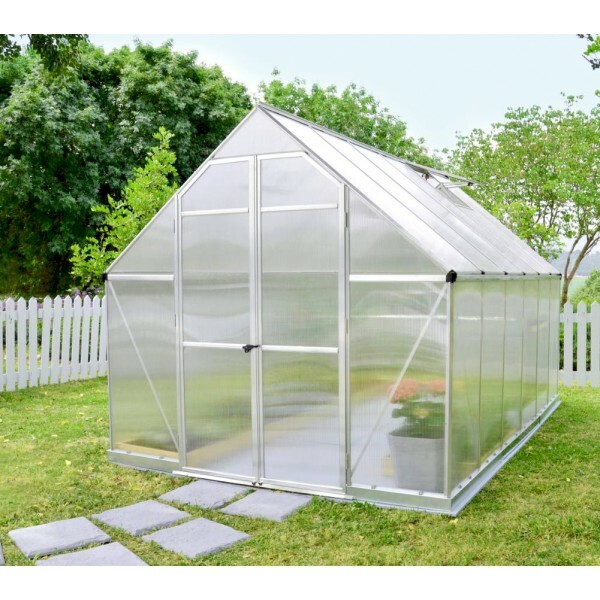 This huge greenhouse 8-foot x 12 foot features high headroom and wide double doors for improved access and working space. 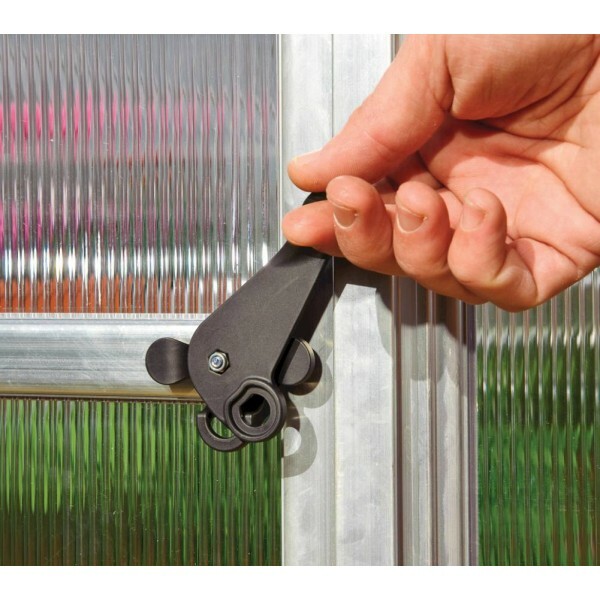 Set up is easy and fast with the SmartLock Panel system. 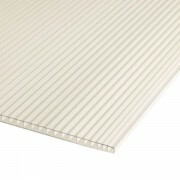 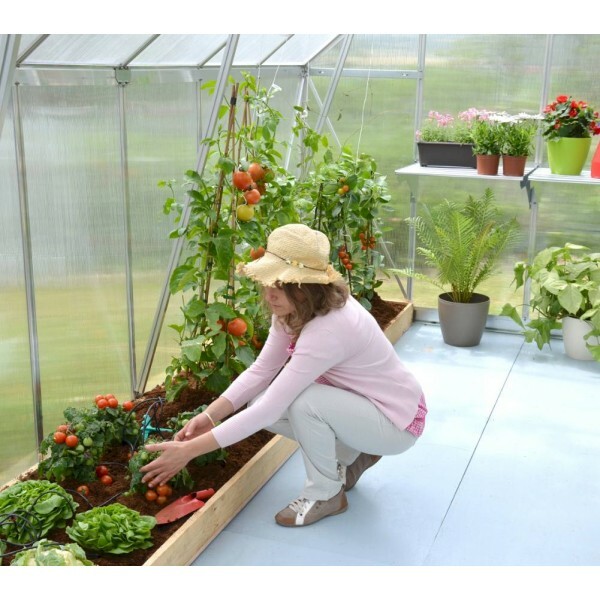 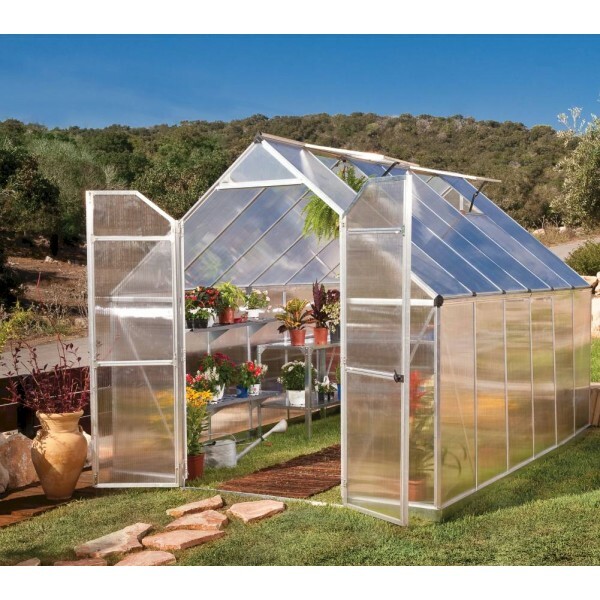 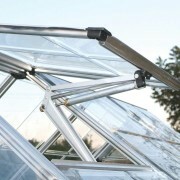 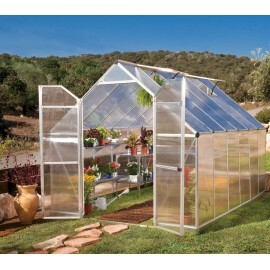 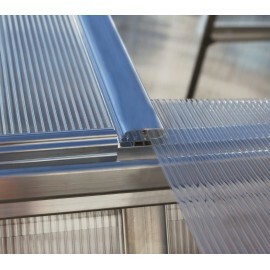 Just slide and lock the Twin-Wall Polycarbonate panels’ right into the big greenhouse frame. 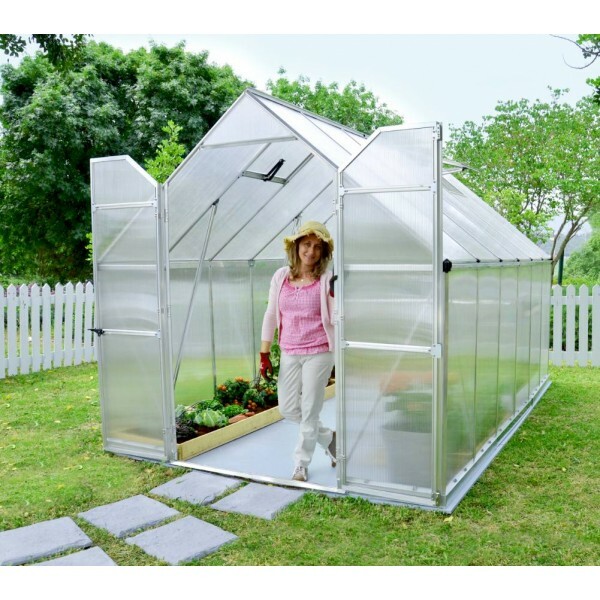 Your plants will enjoy an insulated environment, protected from strong sunlight exposure, and great conditions for nurture and growth.